Choosing and financing your next vehicle can be a stressful process, but it doesn’t have to be. Thanks to the rotating specials at our dealership, Los Angeles and San Diego camping enthusiasts can find an Entegra or Forest River Cardinal for a price that won’t pinch the pocketbook. Take a look at our new vehicle specials online, and then visit our locations in Boise, ID and Westminster, CA to experience our RVs in person. And if you have any questions along the way about our exclusive offers or new vehicle inventory, reach out to our team at any time. 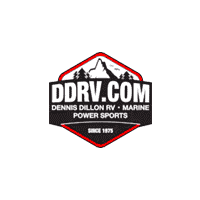 We are here to walk you through the RV- and powersports-buying process and find the new vehicle that’s perfect for you. And after you’ve made your purchase, you can rely on us to provide RV maintenance tips or RV storage tricks.